Epidemiologic and genotypic information on influenza are difficult to obtain for developing countries, unless it is in the context of international programmes or collaborations. These data are important for tracking cases during pandemics like the 2009 A(H1N1) influenza outbreak. 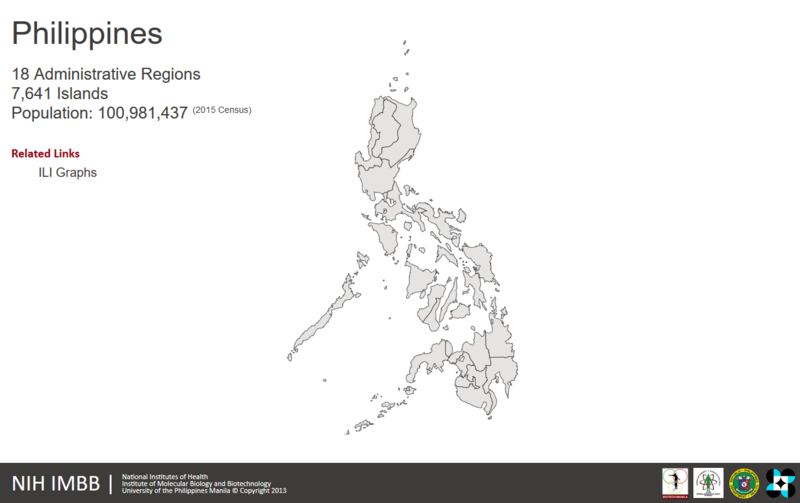 We sought to sequence novel A(H1N1); and design a prototype national web-based interactive genome library for surveillance, genotyping, and drug-resistance monitoring of influenza in the Philippines. A total of 403 confirmed Philippine A(H1N1) samples from 2009 to 2011 were analyzed resulting in 369 M, 360 NA and 223 HA sequences. All of the samples were resistant to amantadine. Six samples had mutations for oseltamivir resistance (H275Y), A website with nearly complete functionality has been designed and has been shown to stake-holders. Initial feedback has been good, with strong interest shown in a public-private partnership with the Philippine government’s Department of Health. In conclusion, we developed a prototype web-based interactive genome database for influenza-like illnesses that is ready for field-testing, adopting the NEC surveillance forms in a paperless system and housing previously collected summary data into an accessible package. In addition, we have generated a large number of sequences ensuring ample Philippine representation of A(H1N1) in the literature as well as documenting the emergence of oseltamivir resistance.